Love & Rescue is from the Greenville/Easley/Anderson area of South Carolina. They are an aspiring band in the country genre, with vastly different musical influences from its 4 members. 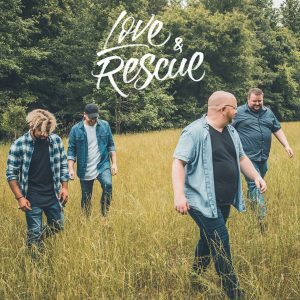 Love & Rescue consists of: Joey Sanchez (Bass Guitar), Jonathan Emery (Drums), Gabe Swilling (Lead Guitar), and Ryan Irvin (Vocals). With the diversity of influences, each member brings a new taste to the music, and has created Love & Rescue’s sound. After releasing their first single, “Addiction”, the band pressed on to finish their first studio EP. With a release date of June 9, 2017, “There & Back” brought Love & Rescue’s new sound to upstate South Carolina with 5 original songs. They strive to expand their following and bring their sound to anyone with a love for music.